We focus on providing an environment where everyone can have fun, enjoy themselves and grow in their experience in Tae Kwon Do. During our 18 years of continuous operation, we have seen campers return year after year to enjoy another fun-filled summer with familiar and caring staff. Flying Kick camp provides a unique family-oriented community of campers and staff. 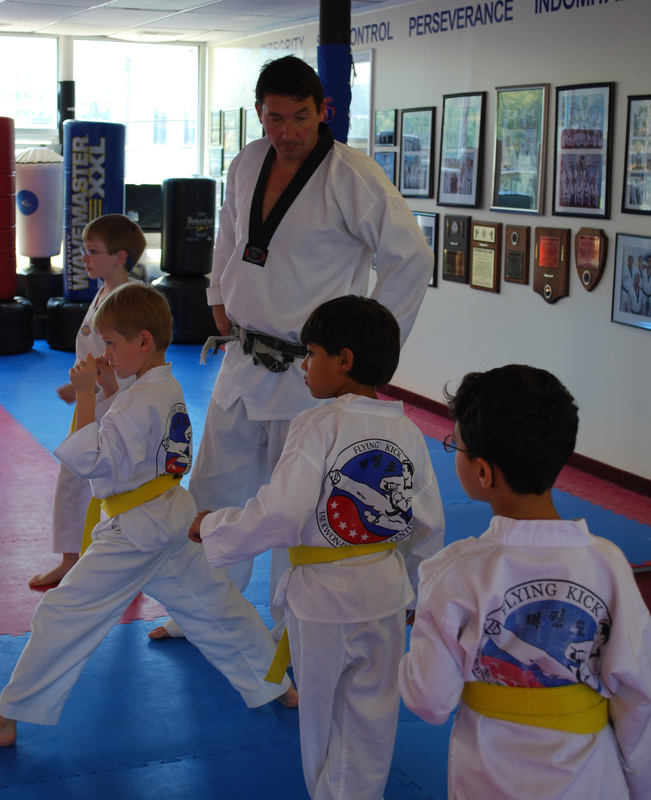 We teach our students to work together, older and younger helping each other to learn and grow in our martial art. 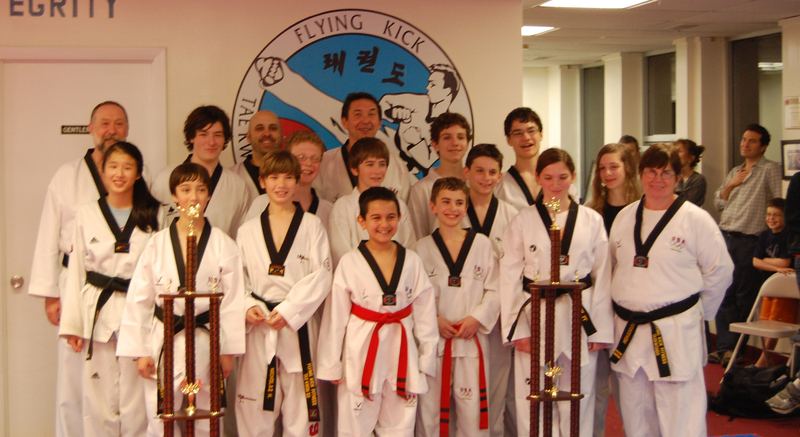 Our campers are known to our staff through their year-round taekwondo classes and years of returning attendance at camp. The safety and well-being of each camper is always the first consideration. 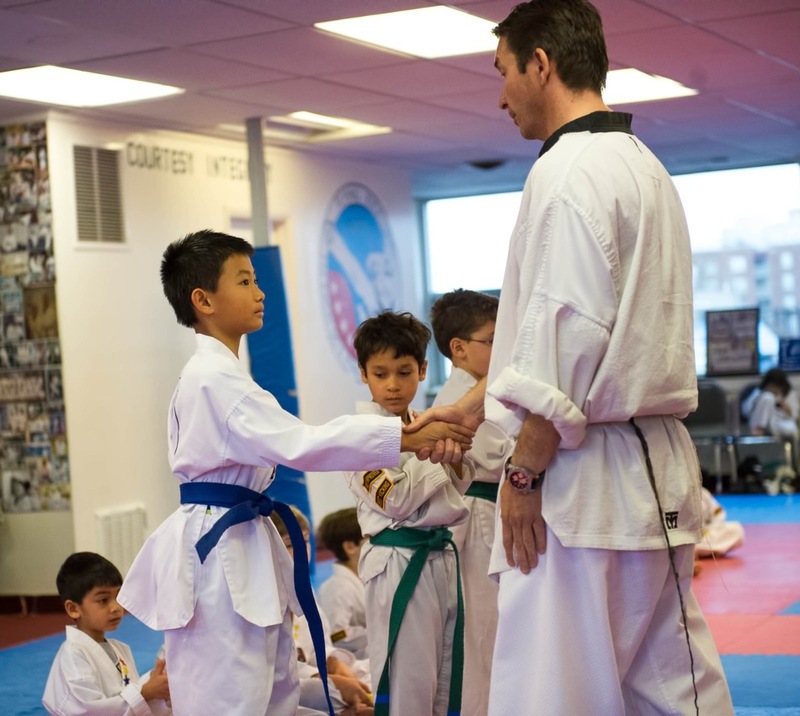 For beginners, the camp offers a fun introduction to Tae Kwon Do, as well as a chance to meet new friends and enjoy learning new things, yet, have lots of fun. 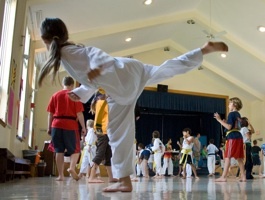 It gives students a chance to learn about martial arts and help decide if they want to pursue it further and as well as do activities that are extremely fun and enjoyable similar to other camps. For continuing students, the camp provides an opportunity to advance in their skills and techniques and prepare for promotion. As always, we give red and black belts an opportunity to progress by providing a special workout class for these ranks, in which they can increase their fitness and endurance as well as learn advanced material and techniques. All levels have fun learning and playing together in a safe, supportive atmosphere. The main focus of our camp is to have fun, learn and stay safe. We are certified by both the state of Maryland and Montgomery County, and all of our staff have their CPR/First Aid Certification. Our staff/camper ratio is 6:1, with a higher staff ratio for 4 & 5 year olds. Camp begins each morning at 8:30 am and ends at 3:15 pm. Please make sure to pick up your camper at this time, unless he or she is staying for aftercare. Aftercare is available from 3:15-5:30 at an extra fee of $10/hour/child, payable in advance or at time of pick-up or end of the week. Lunch is usually brought from home and should include a cold pack. Campers can also order lunch in from Peter’s Carryout for a small fee. NEW:Van pick and drop-off service available! More details in the enrollment packet. We look forward to spending time with your children this summer! Contact the office if you would like more information on the 2019 summer camp. Please let us know if you have any questions or concerns. The 2019 Summer Camp Enrollment Packet is now available for download!